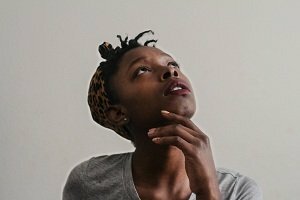 Blog Home > Useful Tips > Does a Critical Thinking Quiz Really Work? Does a Critical Thinking Quiz Really Work? There are quizzes for everything. Some tell us what celebrities we look like, some inform us on the perfect places to live, based on our preferences and life choices; other quizzes calculate our levels of empathy or evaluate our critical thinking. Really, is it possible to just take a quiz and get a reliable assessment of one’s own ability to think critically? What is a critical thinking quiz anyway? Firstly, let us think about what we mean by critical thinking. For a start, it is an intellectual process. In the course of it, people actively process information in a certain way in order to base their beliefs and actions on what they get as a result. Critical thinking is often used as an opposite to emotional or irrational thinking. There is even a National Council for Excellence in Critical Thinking. In truth, it is really important to stay critical among the never-ending informational flow of the present. This is the only way we can distinguish between the important information and facts, on the one hand, and informational rubbish that should not be taken seriously. If you ever wondered how good your critical thinking skills are, then you might consider taking a critical thinking quiz. The purpose of such assessment tool is to somehow measure our abilities to analyze, synthesize, evaluate information regarding its context and apply it to different situations. A critical thinking quiz can show us whether we are capable of navigating the ocean of information and form our opinions correctly — not impulsively, but after performing certain intellectual actions. There were examples when an online digest introduced a regular quiz, so that its readers check how critically they think when perceiving information. They based their questions on the current article, and the readers would answer and see all their logical flaws. This way, the audience could develop their critical thinking along with the digest. What Kind of Questions Does It Ask? A typical critical thinking quiz consists of usually up to 30 multiple-choice questions. They require some time to think which is why they are normally not time-limited. The questions test one’s ability to process information in a logical way, which is, to understand the cause-and-effect relationship, make conclusions, and build logical arguments. For example, a critical thinking quiz might include a statement which should be assessed by the quiz taker. It might be a flawed argument, and the multiple choice answers might provide the possible explanations of why it is flawed. Another example is a situation with certain conditions, where the quiz taker is required to choose the right decision from the answers. The answers can be also of a more general nature. For example, “What type of information you should not rely on when making a judgment?” The answer choices may include the following: “gossip”, “your own experience”, “your professor”, and others. Which of the three would you choose? The problem with most quizzes is that they provide us with hypothetical situations where our imagination, coupled with past experience, comes into action. In the example above, we might choose the answer “gossip” not because we have come to this conclusion after some intellectual exercise, but simply because we have a negative sentiment towards the word “gossip” itself. Also, when we take a quiz, we put ourselves in a focused mode which allows us to better concentrate. In real life, there are different factors that come into play, influence our decisions, and make us forget about rationality and criticism. What the quizzes really can is to develop and train our ability to apply logic to everyday situations. Taking critical thinking quizzes is fun. Of course, this applies only if you consider something that requires mental effort fun. However, could they really show the true level of our ability to process information correctly, taking the context into consideration, and also make informed decisions as a result of this intellectual process? Probably, the answer would be “partly”.